The Victorian era was a time of great change and rapid progress. Britain was undergoing the most tremendous development. Scientific discoveries had prompted the Industrial Revolution, which made Britain the world leader in iron and steel production. Science was undergoing a revolution, enabled by the groundbreaking work of Michael Faraday, who led the Royal Institution. Great swathes of Central Africa were mapped by the explorer David Livingstone and the understanding of humankind’s place in the world was being redefined by the theories of the great naturalist Charles Darwin. Brunel’s steam-driven ships were connecting continents and Florence Nightingale’s work in hospitals helped lay the foundations for modern nursing. In literature, Charles Dickens put the lives of ordinary men and women at the center of great novels for the first time, and in politics Britain was completely transformed by the reforms of William Gladstone. 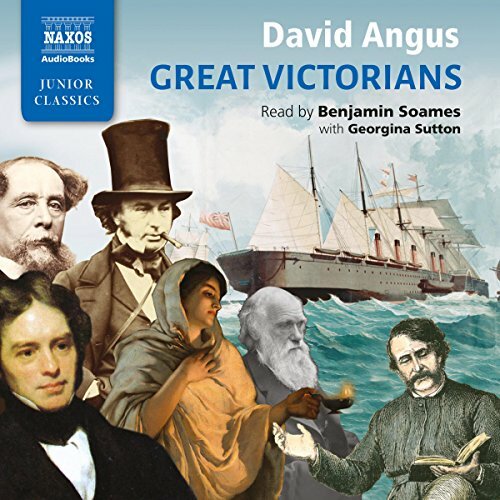 Written exclusively for Naxos AudioBooks, Great Victorians captures a fascinating period in world history.